Calendars make great holiday gifts especially for that friend who has everything. Santa has been known to leave a Chick-fil-A calendar or two under our tree and while not especially stylish or creative, those FREE Chick-fil-A milkshake coupons sure do make up for it. 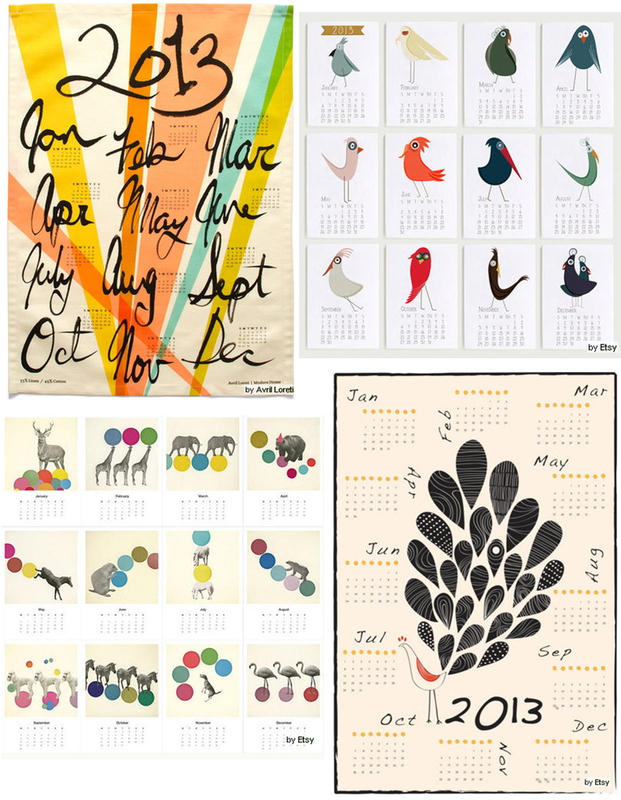 In honor of 12.12.12 I thought I would share with you a few of my favorite creative calendars from Houzz. I'm especially loving the funny birds - how awkwardly fabulous!